lancome grandiose mascara -- a swan-neck gimmick? 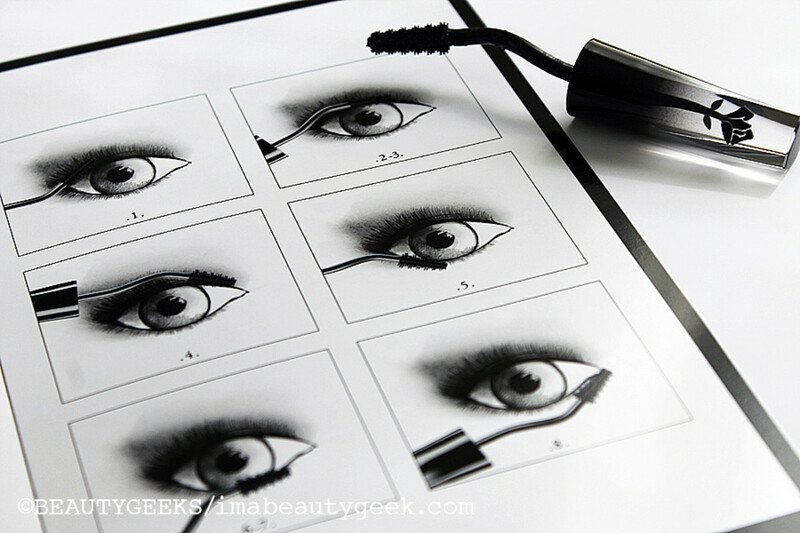 Bending the mascara brush at the neck where it meets the wand is a longtime makeup-pro trick. 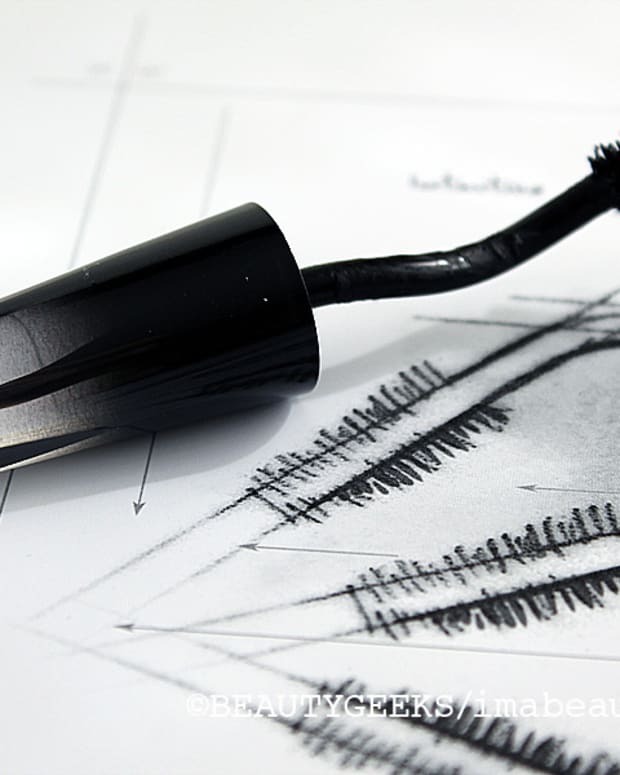 Setting the brush on an angle can make getting at every lash a titch easier by making the wand easier to wield. 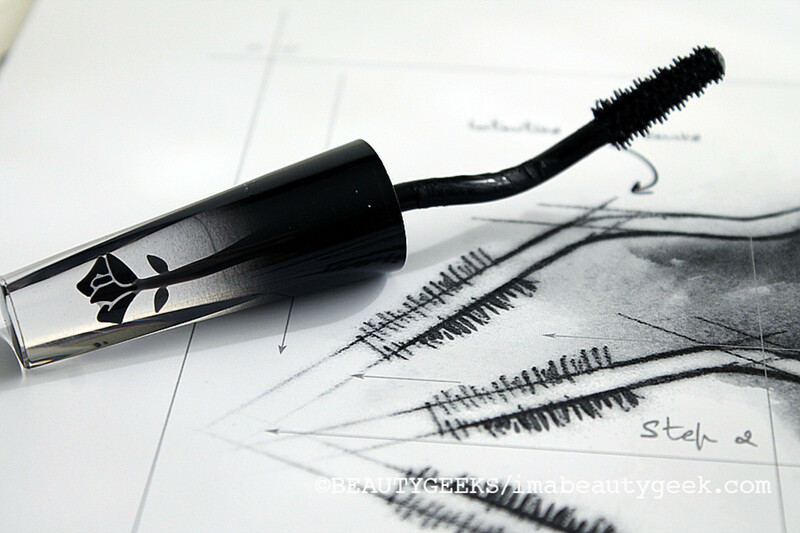 A similar principle is behind the new curved wand that makes its bow with Lancome Grandiose Mascara. Is it a gimmick? See the swan-neck wand in action in this little video review. 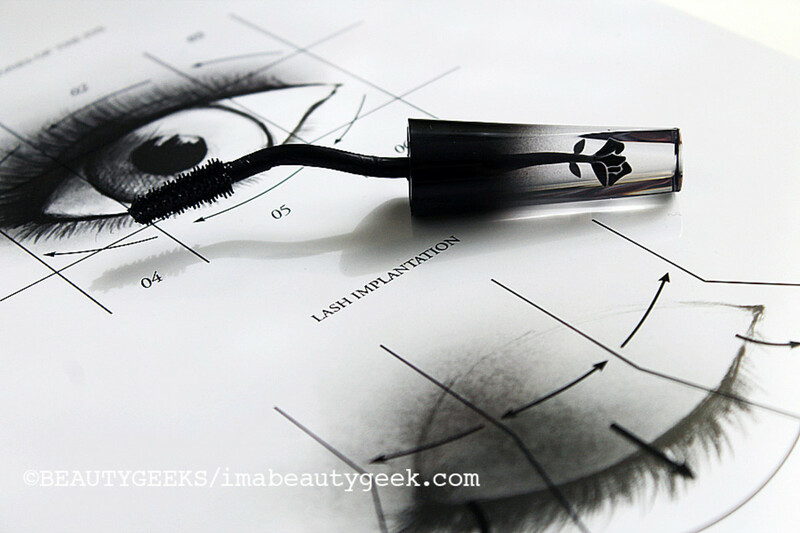 The Lancome Grandiose Mascara wand is bent at a 25-degree angle from its axis. 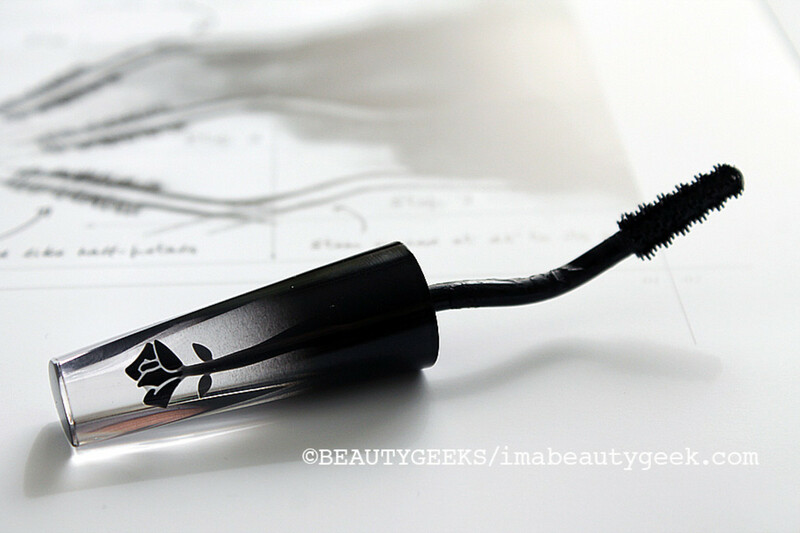 Bend bonus: the mascara formula gets a good stir as you unscrew the top and withdraw the wand. Note the small brush. Ever noticed that a regular long mascara brush can pull the outer lashes in, so they align with your centre lashes, straight out and up from the lash line? If yes, maybe you&apos;ve adjusted your application to do your outer lashes with the tip of your mascara brush so they fan out instead? 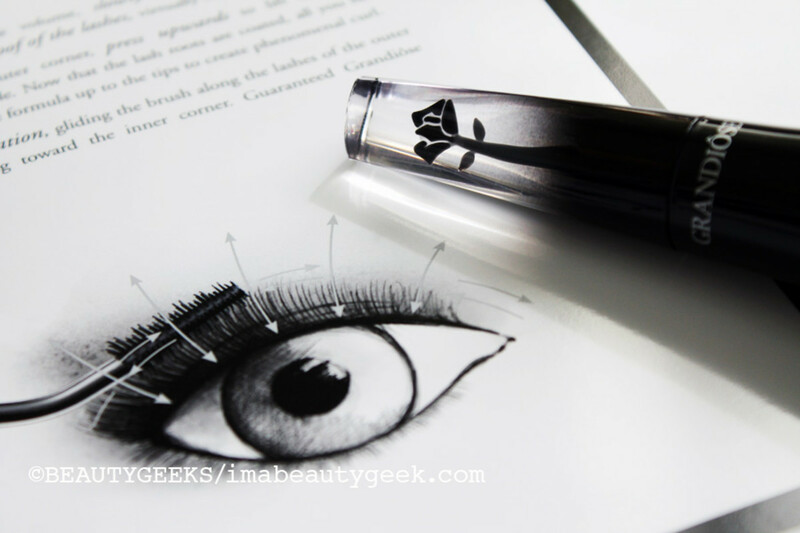 The idea behind the Lancome Grandiose Mascara curved wand and smaller brush is better, more precise access to every lash, and an application that follows the fan-like way lashes extend. This little brush will do just a section of lashes at a time, which makes following the natural growth direction easier. Plus, as well as conditioners and intensly black pigments, the mascara is formulated with special polymers (one is latex) that give lashes a pretty curve without making them stiff. Handling the wand will require a bit of an adjustment curve, but it won&apos;t take long to master. 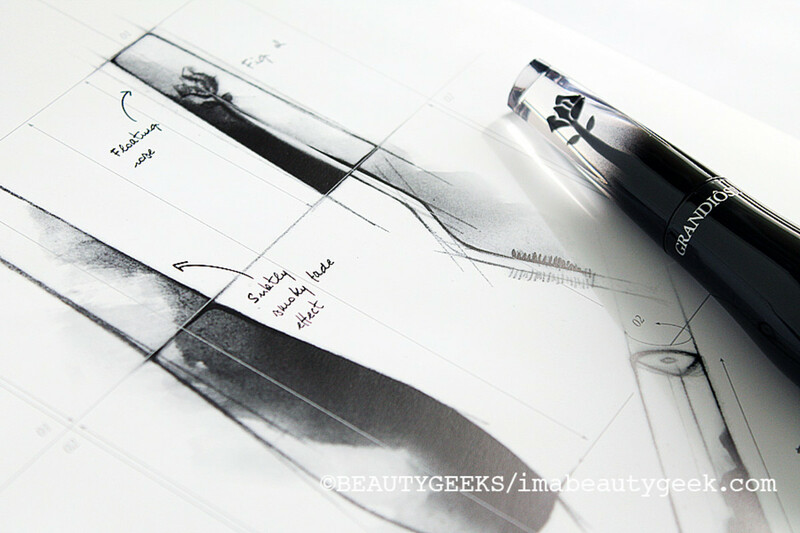 Positioning the brush should be a fairly intuitive process as per the above handy sketch from the Lancome Grandiose press book. 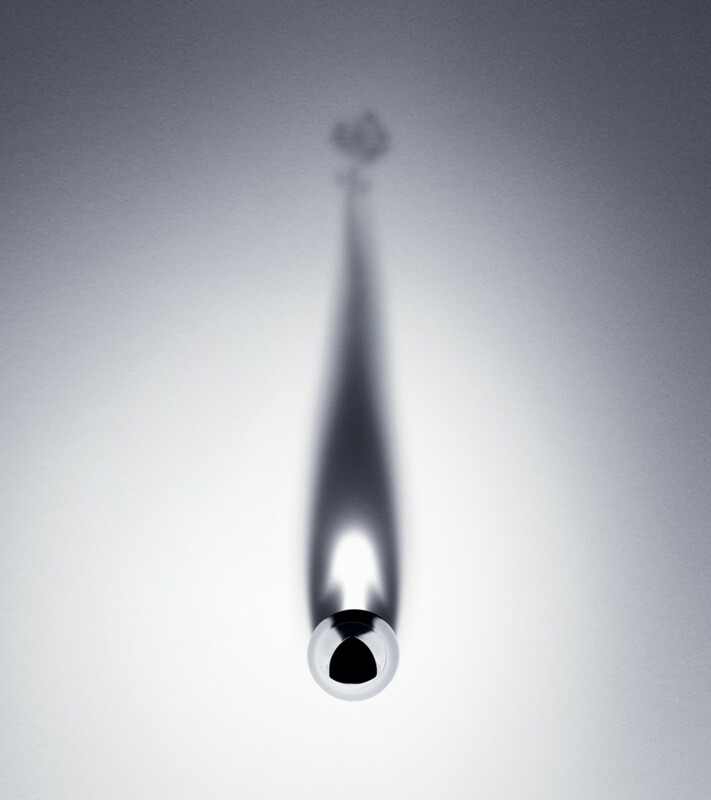 Also super-cool: this press shot taken from the top of the bottle to cast a delicate rose shadow. I&apos;m still playing with the Lancome Grandiose Mascara ($35, August 15th at Hudson&apos;s Bay, Sephora, Murale, Shoppers Drug Mart and lancome.ca). 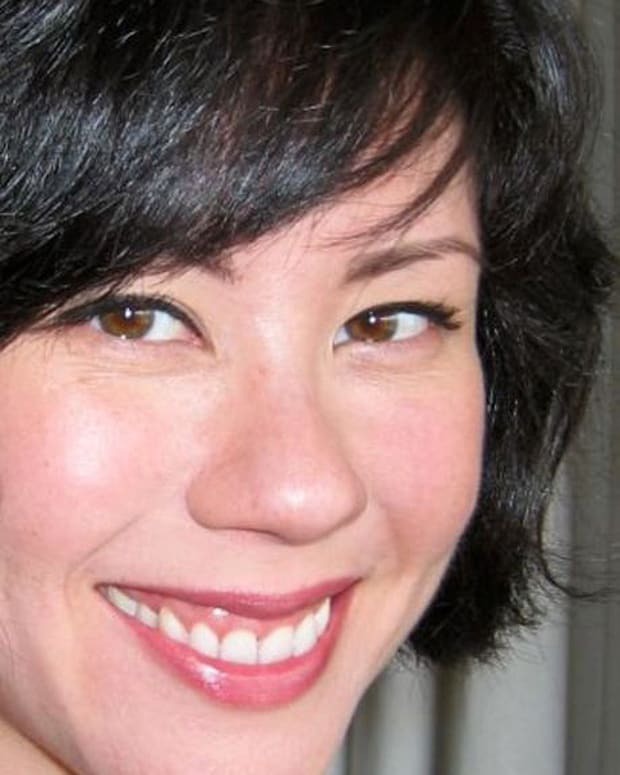 I&apos;ll say this: the mascara gives my delicate lashes a nice curl without my having used a lash curler first. That&apos;s a back-of-the-cab bonus. I&apos;ll have a more thorough report for you shortly. In the meantime, what do you think? 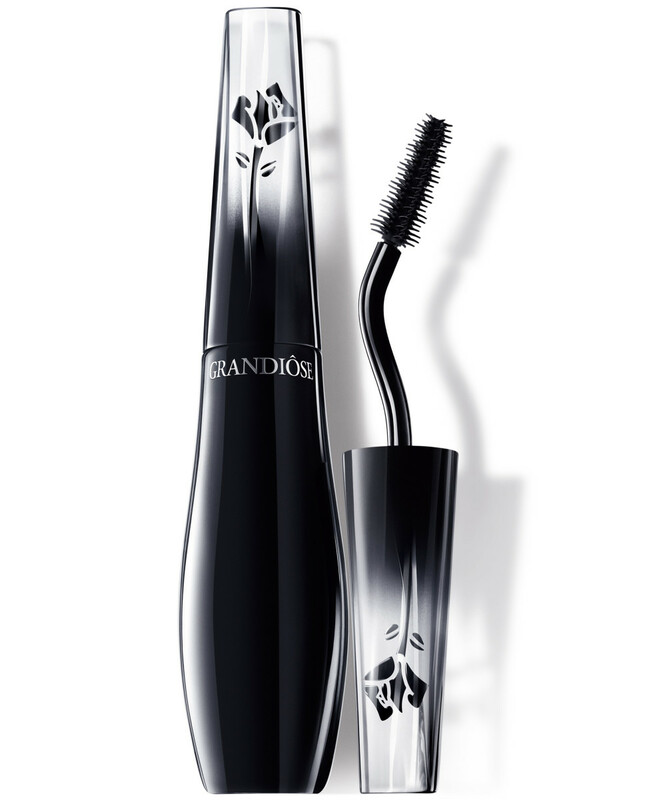 UPDATE: the Lancome Grandiose Mascara is now available via lancome.ca and scheduled to hit Canadian counters on July 30th.